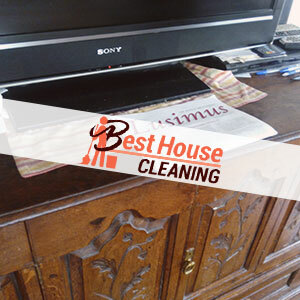 If you are working too much and there is no place for cleaning in your busy schedule, let us take care of your home. We are the cleaning company in East London that understands completely the meaning of a professional house cleaning and our diligent cleaners can assist you whenever you wish. For your convenience, we are open 7 days per week and reply quickly to every request. You can trust us because we operate in the field of cleaning for several years already and until now we have never failed to meet the requirements of our clients. We are a customer focused company and our main objective is to satisfy every personal need. Try our house cleaning and you will discover an easy and affordable way to maintain you property clean. Once our cleaner is in your home, they will degrease the kitchen, hoover and mop the floor, tidy up the living areas, sanitise the bathroom, change the linen, etc. In case you would like us to pay attention to any special areas, don’t hesitate to alter the package. We will be happy to make your home as clean as you want it to be. In order to deliver a reliable cleaning solution to people, we collaborate only with hard working and trustworthy cleaning experts. Have no doubts in their abilities because they are thoroughly trained and fully committed to their work. They can visit you everywhere in East London like Whitechapel, Shadwell, Bethnal Green or Haggerston and the price that you will pay for their professional help is more than reasonable. Our services are suitable for every need. You can book one-off sessions with us or house cleaning on a regular basis. No matter what you prefer we guarantee that you will be extremely satisfied with the final result. Our customers deserve only the best service and this is what we give them. Grab the phone and give us a call. What we have for you is a service of high quality, professional attitude and the most important, personal attention. Hurry up, our call centre representatives are already waiting for your call.